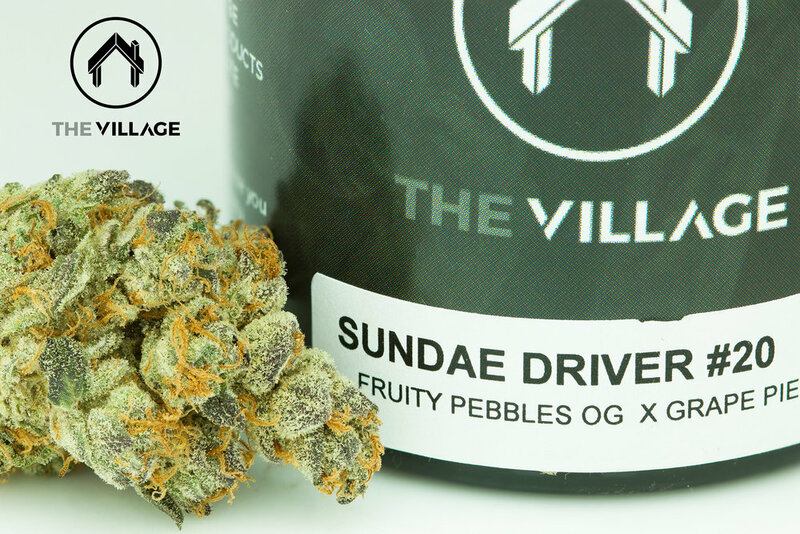 This ultra rare phenotype of Sundae Driver was selected by Jungle Boys and gifted to us along with Phenotype 19. It has a very powerful trance-like ‘everlasting creeping indica high’ and a unique musty skunky flavor with hints of dried apricot & fruity cereal. We go back and forth on which phenotype of Sundae Driver we prefer. They’re both so good, and so different. Fruity Pebbles OG x Grape Pie bred by Cannarado Genetics. Very unique musty skunky aroma & flavor with notes of sugary dried apricot fruity cereal. Very tasty on exhale! The powerful indica indica effect starts with a clear headed trance and fades into a stoney creeping body-high.